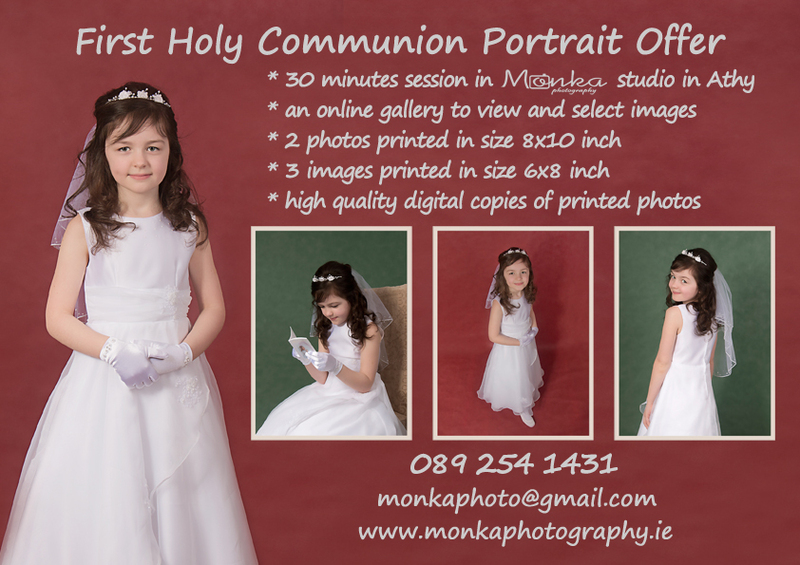 We’ve decided to keep last year’s great offer for First Holy Communion Photographs. It’s €80 for a photo session in our studio, password protected online gallery to view and select your favourite photos, 2 portraits size 8x10inch and 3 photos printed in size 6x8inch. You’ll also get high resolution digital copies of all printed images.